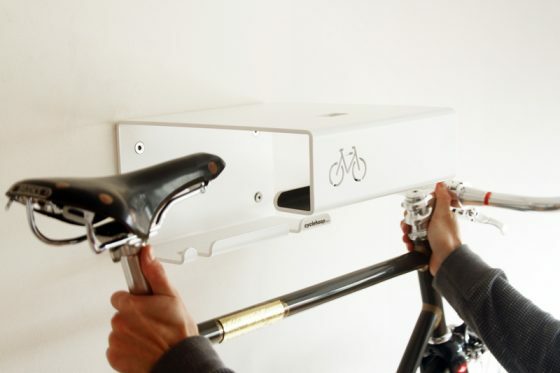 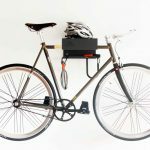 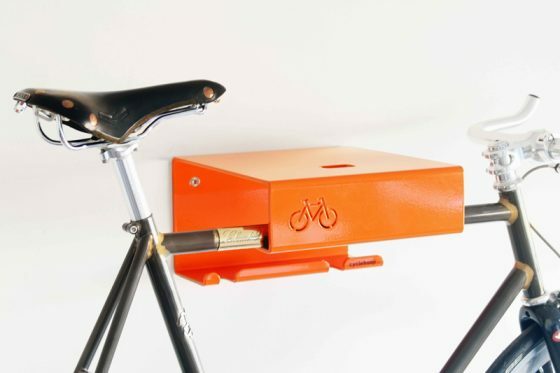 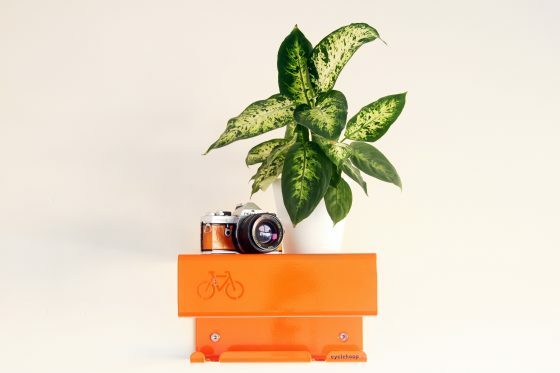 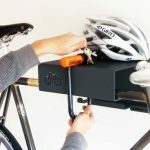 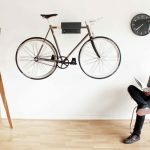 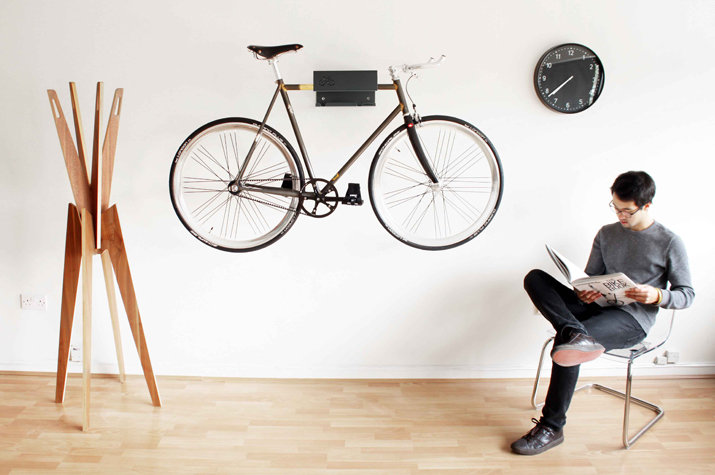 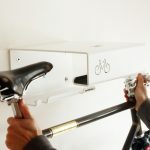 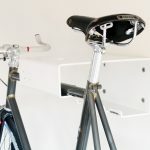 The Bikeshelf is a great solution for those with limited indoor storage space for their bicycle, as well as turning your bike into an eye catching statement on your wall. 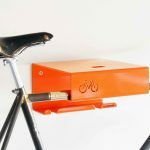 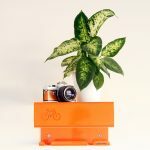 This robust, stylish design is made from thick sheet steel and screws into the wall holding both your bike as well as your books and plants pots. 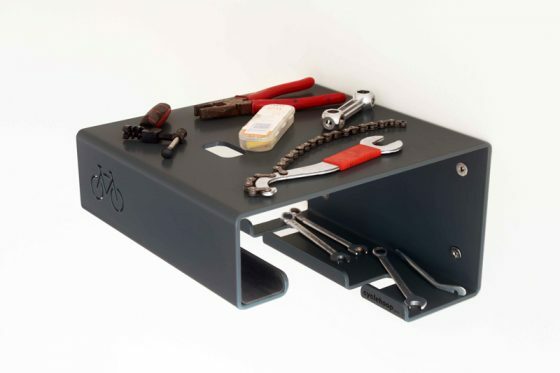 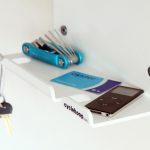 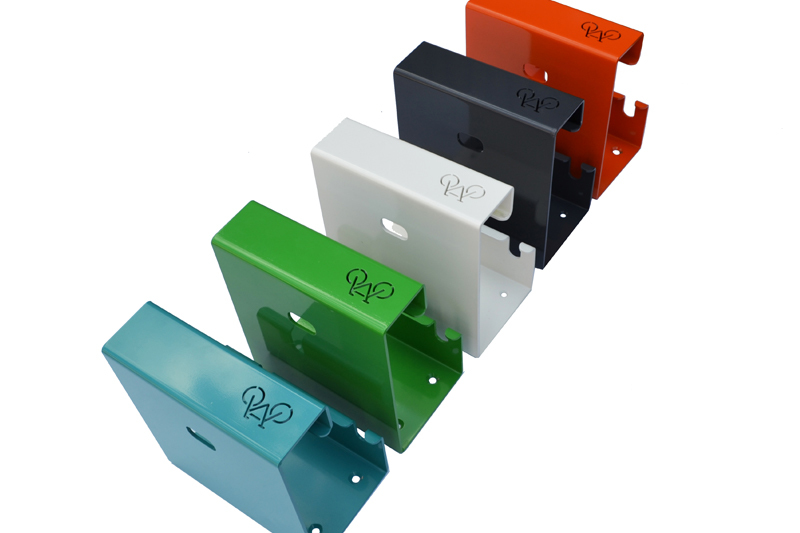 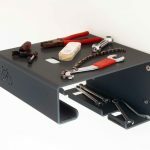 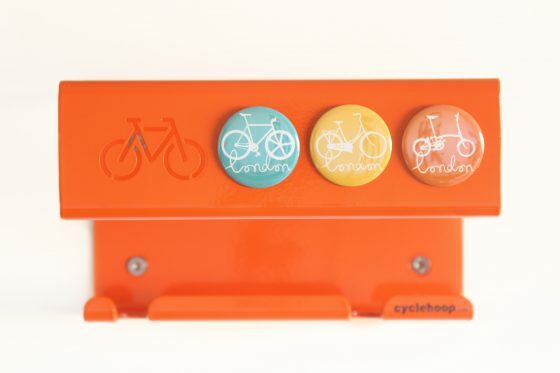 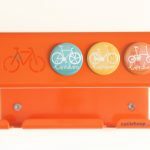 Available in five different colours, the Bikeshelf features a protective rubber element to prevent scratches on your bike and a hook to hang your bag and bicycle lock. 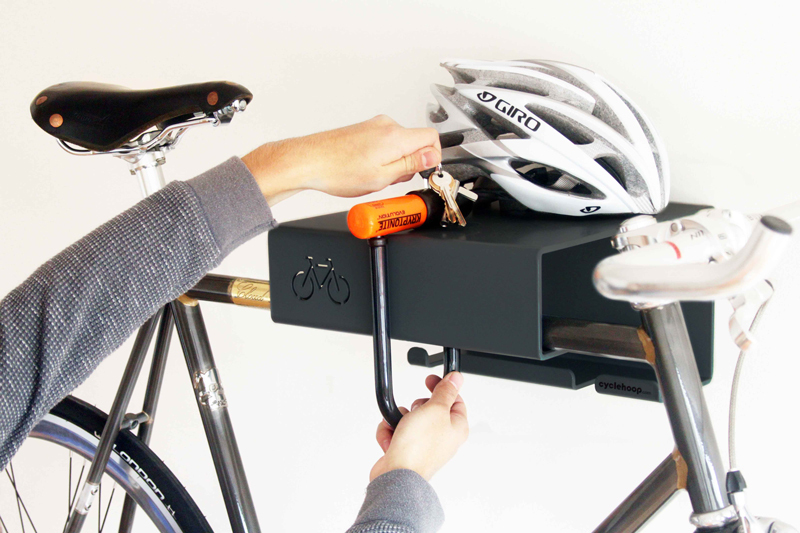 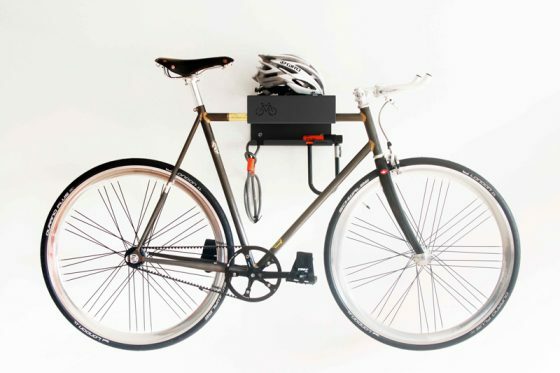 For extra security the Bikeshelf is designed with a hole in the top so you can lock your bike. 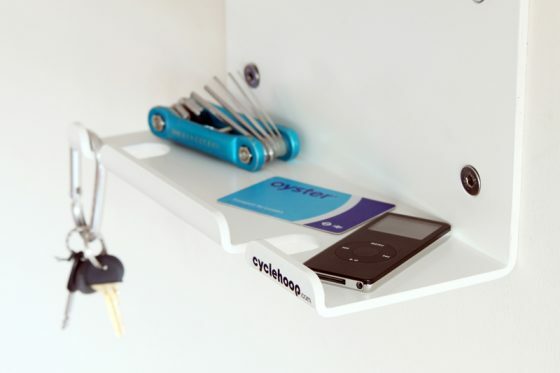 Note: Fixings and instructions included. 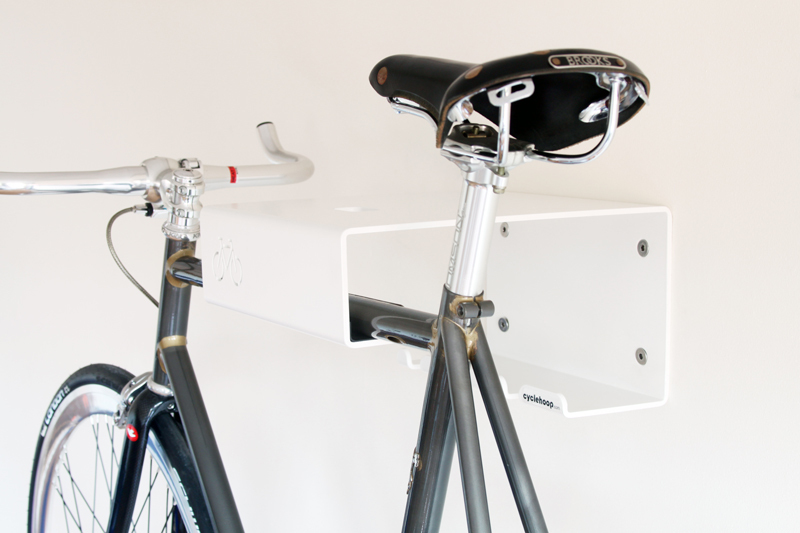 Please note the Bikeshelf is heavy and must be installed on a load bearing brick or blockwork wall.